Hello all! 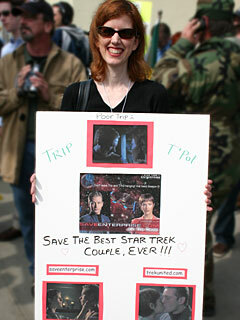 Sorry, but I must comment on some photos I found on StarTrek.com’s site from the recent protest of the Enterprise fans. 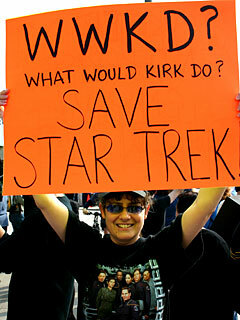 I have to agree with this poster, Kirk would save Star Trek. 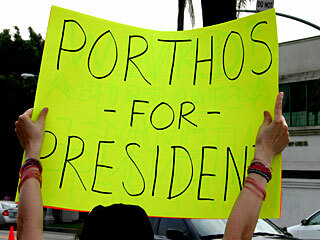 Conincidentally, that’s what’s going on. 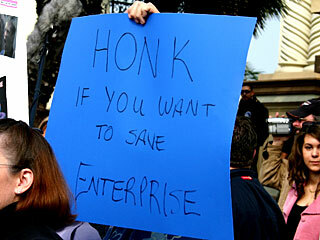 UPN doesn’t want Enterprise because it is not profitable. 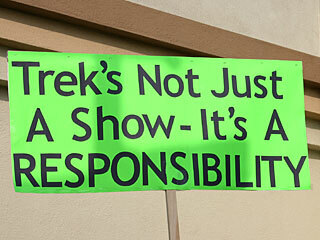 It would be if it was real Star Trek. 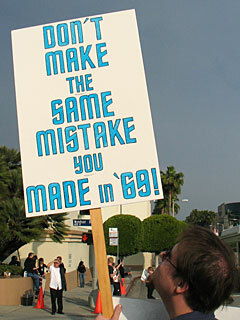 Yes, and I think it is irresponsible to protest against stopping the production of Enterprise. 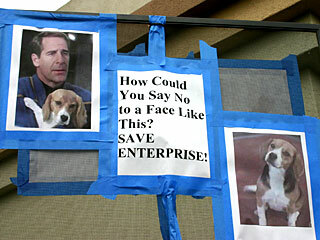 Let’s save Enterprise because the dog is cute! What a brilliant idea!